Innovation to serve the older generation towards an active and healthy ageing and to prevent falls. 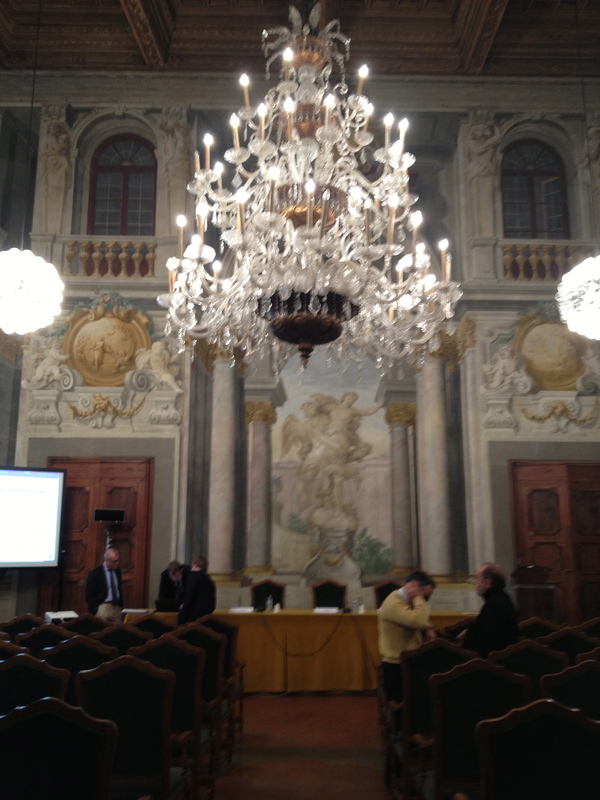 This public workshop was held on 3rd December 2013 in the Sala Verde of the Banca CR Firenze. 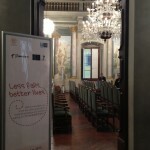 The workshop provided a forum for discussing how innovation can make a difference in an ageing society. The day was introduced by Angioli Baroni, the Medical Director from Azienda Sanitaria di Firenze (ASF), and Stefania Bandinelli from ASF. The first session was entitled ‘Evidence-based challenges’ and was chaired by Clemens Becker from the Robert Bosch Gesselschaft für Medizinische Forschtung (RBMF), in Stuttgart, Germany. Hans-Helmut Koenig from the Director of Health Economics and Health Service Research at the University of Hamburg presented a talk on the cost of falls and fall related injuries the economic burden of falling. The main contribution to cost and economic burden in older age is fractures, which are caused by falls. A systematic review published in Osteoporosis International presented the literature on national total costs, costs per fall-related injury and costs per fall. The review findings show that between 0.85% (EURO15 countries) and 1.5% (USA) of total health care spending is spent on fall-related injuries amongst older people. The majority of costs occur in older adults, females, hospital care and long-term care and fractures. Hans-Helmut presented a study of the initial and long term direct costs of incident femoral fractures in nursing home residents >65 in Bavaria. The study presented costs from the payer perspective because it was based on data from insurance companies. It considered the hospital admission period, the 3 month situation (outpatient care, change in level of nursing home care) and the 12 month situation, (outpatient care, nursing home care, plus any rehospitalisation). The main cost was in initial hospitalisation: 81.6%. Hans-Helmut presented a model to estimate lifetime numbers and costs of fractures for women >50 suffering from Osteoporosis. Different types of costs were included, direct costs from health care services. The model calculated the risk of different types of fracture for women with and without Osteoporosis. The largest cost is in the hip fracture category. The mean lifetime costs of fractures for women >50 (direct costs for all fractures) was approximately €12,000. 50% of these costs were related to cases of osteoporosis. The study demonstrated that there is both high risk and high cost within this population. 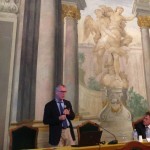 Nick Guldemond, Associate Professor of Integrated Care and Technology at the University Medical Center, Utrecht presented ‘Creating value for science, society and business in the perspective of an ageing society and EU programs’. Nick provided an insight into the concerted effort being made to bring together people from different disciplines and backgrounds across Europe to address the challenge of healthcare and ageing through European policy on ageing and the focus on falls prevention. In the Netherlands, there has been an overall increase in the prevalence of chronic disease of 17% between 2005 and 2013. There has been an increase in co-morbidity of 26% in the same period. With these increases, the medical curative reactive system / model is not sustainable. We need a healthcare paradigm shift, to move from the large focus on specialised institutions to a smaller focus on high specialised cure, together with a larger focus on advanced local care centres and on community care; a model of integrated care, including community and health systems. This model includes an informed, activated patient, who takes some control over their own health situation, together with a more involved and active community. There is a need to build community involvement and cohesion. The European Commission has a vision of encouraging active and healthy ageing to reduce the prevalence and risk of falls through focus on good nutrition, exercise and activity and monitoring. We are living longer, but not with healthy life years. The European Innovation Partnership (EIP) for Active and Healthy Ageing is aiming for 2 more healthy life years for all adults. Preliminary achievements of the EIP-AHA include collating best practice; developing a technology toolbox; gathering data and evidence; developing an awareness strategy; providing education and developing a governance model. The EIP-AHA has links with ProFouND, E-NO Falls and 30+ European projects and programmes. 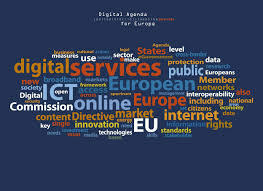 The European Commission has a vision and is aiming for community based co-creation. The second session involved a round table discussion about innovations in organisations and services to serve the older generation. 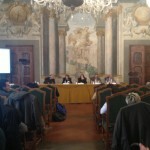 The session was chaired by Elena Meli, Salute Journalist from Corriere della Sera. Invited speakers included Paolo Francesconi from the Regional Agency for Health in the Tuscany Region; Enrico Benvenuti, Orthopaedic Geriatrician; Luciano Bartolini, Mayor of Bagno a Ripoli; and Guiseppe Mincolelli, Architect and Product Designer from the University of Ferrera. It is important to be creative to overcome the difficulties that face us with an increasing ageing population. Communities need to work together to address the problems that we face and create a vision for the future. Municipalities and regional governments need to work with communities. Luciano Bartonini (Mayor of Bagno a Ripoli) addressed the question: how can you help older people, how can you prevent falls? Municipalities are directly involved in issues in communities; they are the front line of defense. Prevention is essential. If we want to reduce the prevalence of falls, we need to work with children to instill good habits. Work has been carried out with children in 10 municipalities to fight obesity. We need to involve families, sports trainers and coaches, churches. That is, whole communities need to be involved. When choices are made to decide on how to spend resources, we need to ensure that prevention receives adequate financial support. In this area, a programme has been running which focusses on nutrition, social skills and exercise. 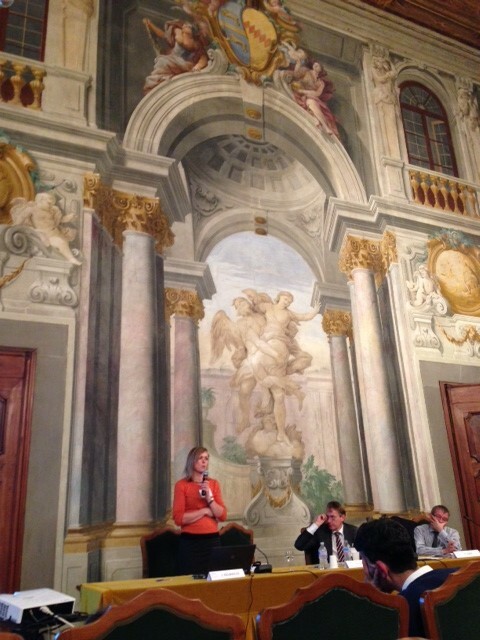 Stefania Bandinelli (InChainti) really helped the local policy makers. The municipality funded courses for older people to exercise; groups of older people could meet in communities to exercise. These groups should be sustainable and should be organised by health authorities in Italy. Courses ran on nutrition, providing opportunities to practice cooking and to reflect on nutrition. There were also organised walks in this beautiful area of Tuscany. Social activities were organised so that older people could meet and have fun together. These were not expensive, if we can fund these activities, we can prevent falls. Local resources can enable us to create local networks, providing opportunities to be together and make new friendships. Prevention is fundamental and involves awareness raising, training and education. International organisations should work to convince politicians and policy makers of the importance of these issues. 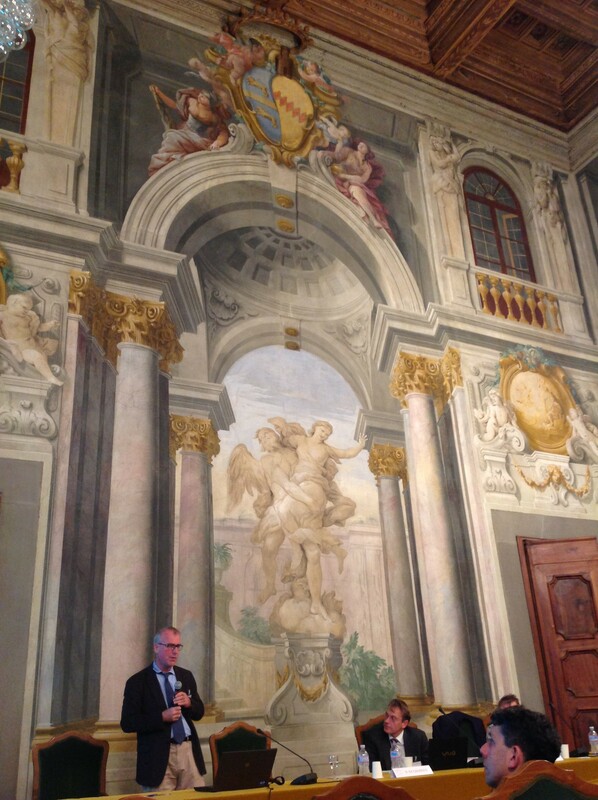 Paolo Francesconi addressed the question: what can we do at the regional level to support these innovations? Tuscany is a region with a high ageing index and a high life expectancy. Together with this long life, there are problems related to ageing. 19% of the older population are at risk of disability and 16% are not self sufficient in this region. We are gaining years of life, but not healthy years of life. Paolo agreed that prevention starts with children and is then lifelong. We need to convince policy makers to include health in all policies and make it easier for people to choose a healthy lifestyle. Unfortunately, the policy that makes mayors gain votes is the one centred on hospitals. They do not focus on health, they focus on hospitals remaining open and being properly funded. This is inconsistent with prevention. For example, we should have more cycling paths and less hospitals in order to make prevention a reality. We also need to identify and target high risk groups, e.g. frail older people. We can provided adapted physical activity and support for people with chronic disease. Paolo recommended that routine assessments of frailty should be carried out by professionals working with such people. The frail older person runs an increased risk of negative outcomes. We should promote physical activity and good nutrition. A programme has been established in this region. ‘Adjusted Physical Activity’ targets people with chronic disease and encourages them to attend adapted physical activity sessions. The average cost is €220 per session. Positive changes have been identified with this programme, which has demonstrated that it is cost effective. 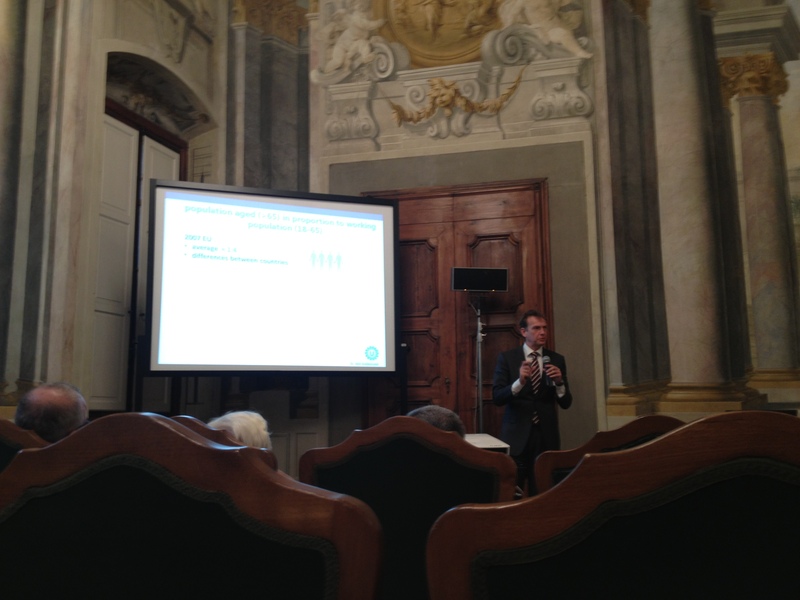 Questions for Orthopaedic Geratrician, Enrico Benvenuti: can multi-disciplinary management improve the situation? Is the care plan and pathway individualised? It is important to see how things are implemented inside hospitals. Often the hospital admission can increase the person’s risks, because they are more frail than they were before they were admitted. They are then discharged to rehabilitation services. IEnrico stated that he would like to see rehabilitation provided inside an acute hospital, as part of a tailored, individual pathway. Can we identify patients at risk of falls before the fracture? 60% of those falling already had a balance problem. Only 15% of them knew that they had osteoporosis. These are risk factors for a fall, which we can use to help us to prevent falls. It is important to study the causes of the fracture, as this will help in targeting the people most at risk. An important issue for future policy is that healthcare facilities should be designed to be places where we help people at risk of disability. Question for Architect and Product Designer, Guiseppe Mincolelli: What do you think about the role of architecture and design? Could this be used to develop and design facilities for older people? Last year, there were equal numbers in the population over and under 50 years. This will change and there will soon be more people under 50 than over 50. Older people have high expectations and some purchasing power compared to younger people. There are huge opportunities, if we change our stance. A global approach to inclusion was described. It is a typical response of designers is to modify existing designs for people with disabilities, or functional limitations. If the environment is supportive, the individual can get along better. People aim for exclusivity, which is a seen as desirable and a measure of individual success. A positive value has become attached to exclusion, which is at odds with the experience of ageing. So we believe that we are wrong, not the product or service. We should aim for beautiful objects that are inclusive. It is unacceptable to have a public space that excludes any person. We should try to make technology more humane, easier to use, to remove the stigma. We have to work on culture as well as on development projects. If we keep supporting the culture that life is to be enjoyed by the young and the beautiful, then we are going to have difficulty reaching the targets that have been set. We need to have more entertaining and modern communication tools. We need to think about social interaction. Technologies can make people closer but also keep away from each other. We are connected, but we are remote. How can technology become accessible for older people? There are various ways of using technologies to create interaction, yet older people do not necessarily have the skills to use them. There is a lack of IT literacy, but in 10 years there will be computer literate. It is a self-solving problem. It is important to recognise older people as a resource, helping children and grandchildren. Also they can be resources for their peers. Intergenerational projects are important, but we can focus on peer support. There is a residential, community centre where self-sufficient older people can be admitted, but they can remain there as they lose their independence. There are about 20 dwellings and all of the residents support each other. We should see the glass as half-full and not half-empty. THIRD SESSION Good practices and lessons learned worldwide. The afternoon session included presentations from different countries and was chaired by Chris Todd of the University of Manchester and Nick Guldemond from the University of Utrecht. Ups and downs of staying upright in the community: a primary care perspective. Ngaire Kerse from the University of Auckland, New Zealand. Ngaire talked about the Cochrane review of falls prevention interventions for community living older people >60 years (Gillespie et al., 2013). The review included group exercises, Otago Exercise Programme and Tai Chi. Interventions demonstrated that they were successful both for people at high risk and for members of the general population over 60 years of age. Otago has been evaluated several times in terms of cost effectiveness and positive outcomes. Otago has not been successfully used in all studies, e.g. the VIP study in New Zealand with people 75+ years with visual impairment. There was no apparent effect of exercise in this study, as complaince was low. The FACT RCT, which included Otago for people 75+ who had fallen also showed no impact on falls. However, there was only 24% compliance at 10 months. Ngaire presented various other interventions (Vitamin D; withdrawal of psychotropic medication, balance training) and their relative success. Awareness raising, screening and assessment for fall risk should be carried out in order to identify and support people at risk of falling. Lorenzo Chiari from the University of Bologna, Italy. Lorenzo presented an overview of the FARSEEING project, as a comprehensive approach to predict, prevent and manage falls within the specific field of geron-technology. ‘Farseeing’ means having or showing awareness of and preparation for the future. The research cycle involves the following elements: observation –> data –> information –> knowledge –> prevention. Similarly, the FARSEEING project stands upon the following process: falls –> observe –> interpret –> plan –> do –> observe –> interpret –>… Following the FARSEEING approach provides us with opportunities to make a real difference in the area of falls prevention. Epidemiological knowledge of falls and fall risk. Clemens Becker from Robert Bosch Gesselschaft für Medizinische Forschtung (RBMF), Germany and Luca Cattelani from the University of Bologna, Italy. Clemens talked about the complex problem of falls: what is already known, what we should know and what FARSEEING can contribute. For example, if we understand what happens in the period before a fall, then real time monitoring could offer an opportunity to focus attention within that period, thus preventing the fall. Past and current research in this area provides us with opportunities to use sensor technology to add to the field. Using wearable sensors, FARSEEING has recorded 140 falls to date and we should have 250-300 recorded by the end of the project. 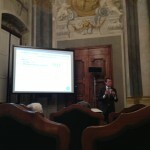 Luca presented the FARSEEING Fall Risk Assessment Tool, which is available as a web application. (http://frat.ing.unibo.it/fallriskeval/index.jsp) This has been validated on the InChianti dataset and provides a simple and meaningful result which can be used as a decision support tool. Work is continuing to improve, refine and validate the tool. Why 2 out of 3 older subjects don’t fall? What we’re learning from the InCHIANTI-FARSEEING study. 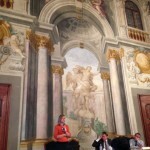 Nicoletta Zaffarana from Azienda Sanitaria di Firenze (ASF), Florence, Italy. 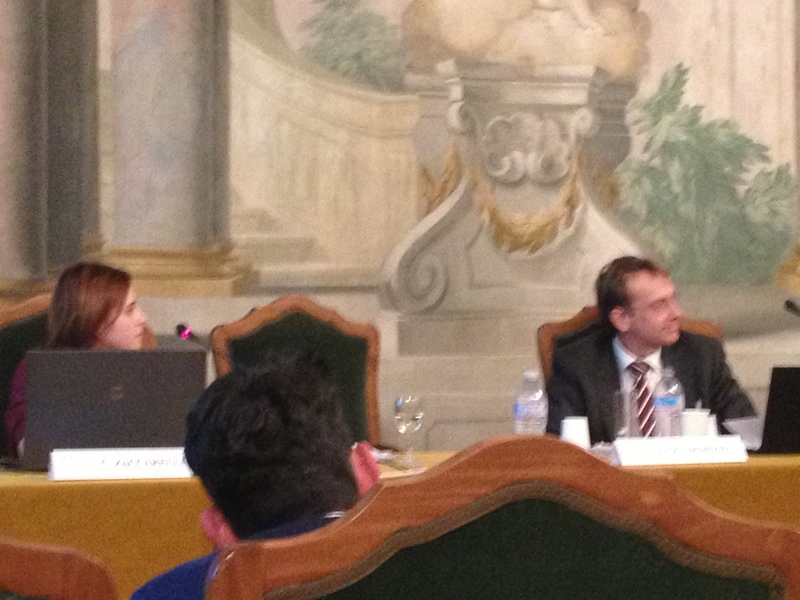 Nicoletta talked about the InChianti study and the possibilities provided by using smartphones as an assessment tool. Smartphones were used to record 5 days of activity and movement. Tests included TUG, Romberg and walking. Telephone questionnaires were administered to assess acceptability. 152 subjects have agreed to be monitored over 7 days. To date, the study has identified that there are differences between performance in tests in an artificial setting and performance in real life. We have found that the smartphones have been well accepted by the older people taking part in the study. Fall prevention as a daily experience: How the FARSEEING solutions are entering into daily lives of older persons living in the community. Jorunn Helbostad from Norges Teknisk-Naturvitenskapelige Universitet (NTNU), Trondheim, Norway. Jorunn outlined the telemedical service models that are being developed as part of the FARSEEING project. These include a fall detection and management service; a falls risk assessment tool; and exercise guidance. The fall detection and management model is being tested in Trondheim, using the safety alarm service. This service receives 10,000 calls per month, but only 10% require a visit to follow up the call. The current system relies on the older person to activate the alarm and users have stated that they want a system that does not always require them to activate it. A system that has both automatic and manual activation is required. The social telemedicine model could include neighbours, family members as well as the alarm service. The FARSEEING fall risk assessment model would include information gathered by a smartphone, which would be sent to the older person and / or to a physician. Older people have told us that they want to have feedback on their own activity behaviour. More development is being undertaken on this issue. For the exercise guidance NTNU have been looking at using different commercially available exergames to use with older people. These must be fun, interesting and have levels of progression within them. Smart home and complex intervention for fall prevention in FARSEEING. Kamiar Aminian from École Polytechnique Féderale de Lausanne (EPFL), Lausanne, Switzerland. 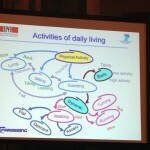 Kamiar described the complex intervention being designed to encourage physical activity within the smart homes. The link between physical activity and chronic disease is well documented. Wearable monitors to record and measure activity can be included in sensors, smartphones and smartshoes, all of which are being developed as part of the FARSEEING project. These monitors provide us with information that can demonstrate and describe activity and complexity, which we can use to prompt people to engage in activities. The smarthome will receive information from the sensors and will present prompts and motivations to the resident of the smarthome to be more active. This technology will be tested with 5 older adult participants in 4 smart homes in Italy (3 near Erba and 1 near Florence) in early 2014. 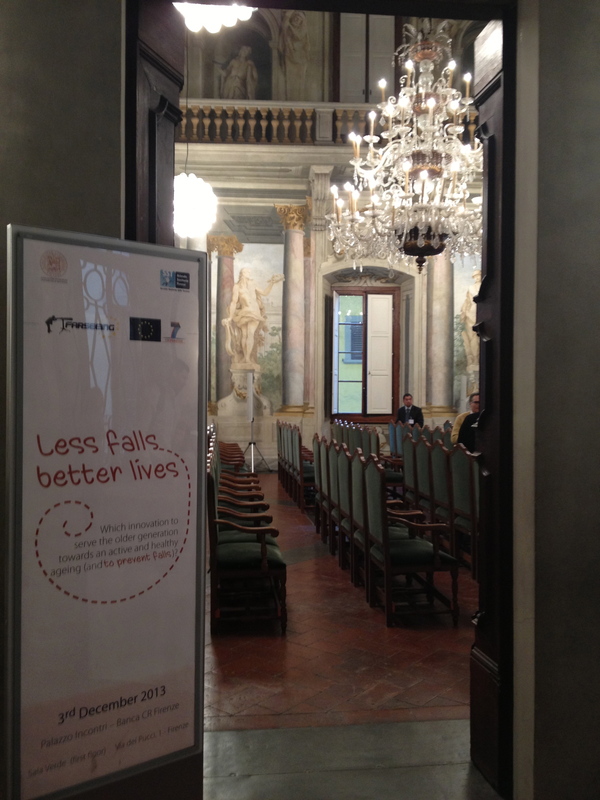 I-DONT-FALL: a European project for prevention and detection of falls through ICT. 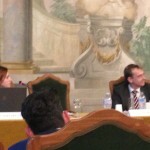 Chiara Zaccarelli from ASF, Florence, Italy. 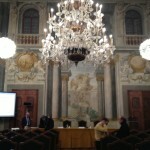 Chiari described the project, which started in April 2012 and includes 15 different partners from 7 European countries. The objective is to assemble and pilot integrated fall prevention, detection and management services, which will be flexible and adaptable. The project includes the i-Walker, a robotic enhanced rollator; the WIMU wearable fall detection unit; and computer based cognitive training games, with simple interactive interfaces. The services will be tested with over 500 older users at a high risk of falling, across 8 sites. The study will involve a motor training group, a cognitive training group, a combined training group and a control group. Mobility, balance and gait assessments will be administered., together with affective, functional assessments and usability assessments. Outcomes include reduced risk and fear of falling, together with increased quality of life. Implementing best practice in fall prevention: the ProFouND Thematic Network. Chris Todd from the University of Manchester, UK. Chris reminded us about the evidence about falls and the effectiveness of falls preventions interventions. There is a gap between what we know and what has been implemented. Unfortunately, falls prevention is not a priority within services and is not widely or uniformly available. Programmes are often short-term and many people do not continue with their exercises and activities beyond the organised programme phase. There are 21 partners in 12 countries represented within ProFouND. The EIP has 70+ commitments and there are 18 partners in E-NO FALLS. ProFouND has a clinical and service delivery focus and has a commitment to embed evidence-based programmes in at least 10 countries / 15 regions by 2015. Training materials, produced by Later Life Training have been translated into Italian and will be translated into other languages over the course of the project. A cascade model of e-learning will create accredited trainers across Europe, to deliver strength and balance training to older people. The project will create a PFPApp to turn best practice into a decision tool to identify risks and develop a management plan for an individual. 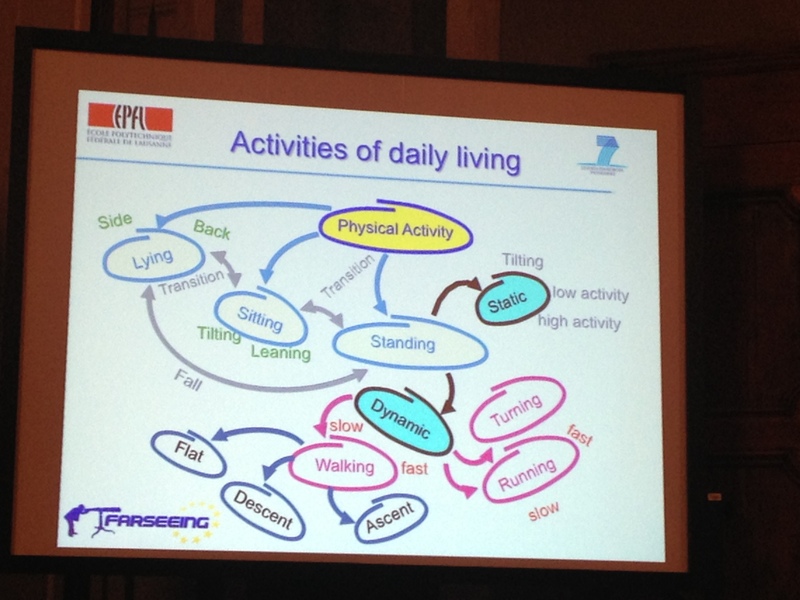 This will generate a printable training programme for the older person. Follow ProFouNDEU on Twitter and find ProFouNDEU on Facebook. 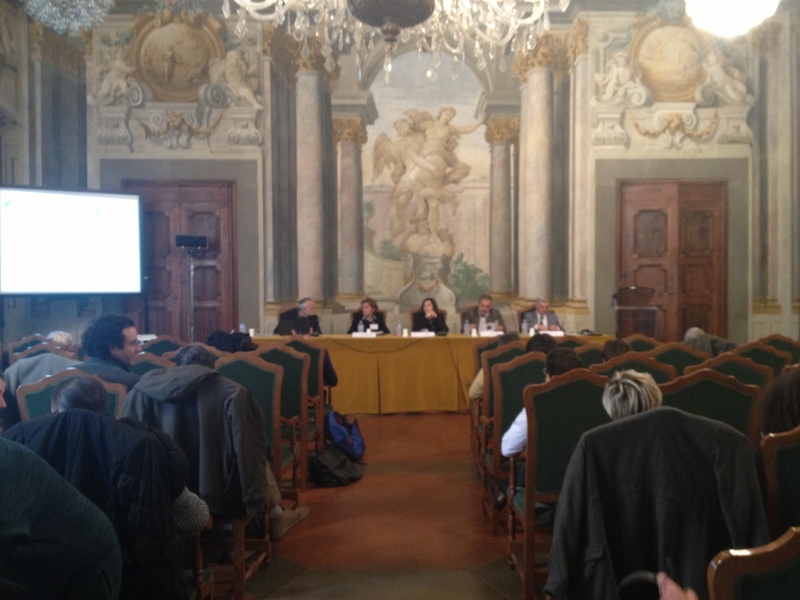 The commitment of Regione Emilia-Romagna in falls prevention: the PROFITER Project. Luca Palmerini from the University of Bologna, Italy. The PROFITER project aims to bring together hospitals and research institutions across the region to prevent falls. Smartphones are being used for activity monitoring and fall detection. In addition, clinical information is being digitalised and used, through retrospective analysis. This will enable a personalised fall risk model to be developed, which will guide a personalised intervention: an integrated and person centred service pathway which is enhanced by ICT and other technologies. The project is maximising the synergies between FARSEEING, the EIP-AHA and PROFITER. Nick Guldemond encouraged those present to think about the future beyond FARSEEING. How can we make use of the data gathered, the contacts that we have and the synergies with other projects? There were additional comments about the potential to use footwear and clothing to assist in the prevention of falls. Alan Bourke from EPFL talked about the new innovation of the invisible bicycle helmet, which could be seen as a fall detection algorythm. Clemens Becker predicted that long-term monitoring will become part of regular clinical practice in the near future, once this work has been validated. Beatrix Vereijken from NTNU stated that technology in the field of exergames is moving so fast that researchers need to keep up to make sure that it is going in the right direction. Older people are telling us that they want social opportunities, so we need to consider this in relation to using exergames to prevent falls. Babak Farshchian from SINTEF, Norway stated that he had seen no discussion of how the older adult population will look in the future. Will they allow us to connect sensors and measure them? Ngaire Kerse from the University of Auckland predicted that there will be more variability in the population, including variability in socio-economic status. Luca Palmerini from the University of Bologna made the point that it’s a matter of how you go about using sensors and monitoring. Smartphone apps give us information about activity through a variety of automated apps, which many of us are used to using and are happy to accept. Lorenzo concluded the day by thanking Stefania and the local stakeholders for making the day a success, where the objectives were achieved. Much food for thought for future activities has been produced. Thanks were given to all of the speakers.